Our old house had a greenhouse attached to the downstairs back room. It challenged me to grow plants to brighten up drab, frigid New Jersey winters. No matter how gray and gloomy those days were, it was always warm and comforting in the greenhouse. I grew orchids: a plant invented to make us all feel cheerful and optimistic no matter what outside conditions dictated. And winter was the orchids’ favored blooming time, making January through March as bright as spring. One early morning I entered the greenhouse to water the plants. The night before I had filled several gallons with water and left them near the heater to warm up. Mustn’t shock the orchid plants with ice cold tap water! This morning the temperatures were perfect for watering. This was the most relaxing time of the day: quiet, peaceful, and delightfully free of telephones ringing. I started with the small plants, already in bud. They took extra care and more frequent watering because of the small amount of shredded bark their pots held. They needed watering more often than their larger buddies did. Time floated gracefully by, and soon I was ready for the larger orchids, the Cymbidiums. As I raised the watering can to the surface of the flower pot I had the sense of something moving. Glancing down at the potted plant I saw a long, slim, green snake wrapped around and around the main stem of the orchid plant. I let out a scream loud enough to interrupt flight patterns of migrating birds! Instantly my large, lumbering long haired Old English Sheepdog raced downstairs to rescue me from any dastardly monster. 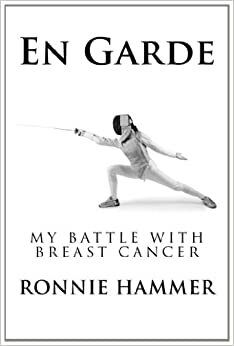 He was on alert, standing in attack mode, ready to fight to the finish, even though he had no idea what or whom he was there to fight. But he had come to my side to help. It was such a loving, caring, instantaneous reaction from this sweet animal. Next to respond was my drowsy husband, slowly clomping his way downstairs to learn the cause of the noisy disruption of his peaceful Sunday morning. “Look: a snake! Right there in the cymbidium pot,” I shouted hysterically. Unimpressed, he glanced at the offending pot. Oh, his comments were a tad bit saltier than that! LOL 🙂 I’m sure the geese had a few words — or honks — as well. I’m with you though. Totally creeped out by snakes. I can’t even watch Disney’s “Robin Hood” because of that snake. The snake was doing Bikram yoga no doubt! Oh, since it was in the greenhouse I thought he was a Hot Yoga fan. You’re right; it was the surprise of seeing the snake in my comforting and peaceful little world. Where did the snake go after your husband came and saved the damsel in distress ? Not sure; could he be headed for your house? In a private conversation with “the snake” I was told that it would never again enter that greenhouse and suddenly be traumatized by a loud scream and an angry growl! Poor snake, it was never seen or heard from again. This is incredible: the last several responses sided with the snake, and the first group with ME! This a democratic blog, so I will allow all points of view to be heard. I guess the poor snakes have limited choices of where to hang out in January. He chose well. Presumably if there were hoards of mosquitos flying around your greenhouse you wouldn’t have entered and you could have had a happier and amused snake. …and that’s a goal of mine, you understand: having a happier and amused snake. Snakes fasciante me and give me creeps at the same time.. do u have a picture? It was just an ordinary, garter snake. Nothing very special, but great for startling someone who is not expecting its presence. How charming! A snake with a gift of an apple for me. Next time I see one I’ll try to remember your words, Bulldog, although there’s not much chance of my letting it curl around my hand. As a lifelong lover of the greatly misunderstood snake, I agree with your husband. From prairie rattlers to glass snakes, these gentle creatures are far more afraid of us than we of them. In that case they must be the most misunderstood creatures on earth, because most people are revolted by them. 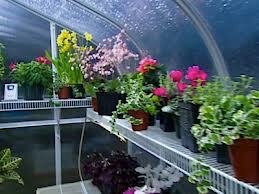 Like the idea of your greenhouse to cure the winter blahs. Not many people enjoy snakes, especially unexpectedly. Thanks for visiting my blog! I love the idea of a greenhouse, Ronnie. It reminds me of that room in “Green Card” – just a lovely, wonderful green and flowery retreat. Sorry about the snake. I found a small one in our home last year. Hubby wasn’t home. Cat was the one who pointed it out, but did nothing about it. I was freaked, but I quickly scooped it up in a dust pan and tossed it into our yard. Unfortunately, I wasn’t thinking as the place I deposited it was very close to our home. Yikes! Hope it scooted a long way away safely. If we create a space ideal for plants to thrive in we are also creating a space perfect for snakes, bugs and mice to thrive in too. Yikes! I would have screamed and run in place for five minutes. Love the photo – it’s so cheery on this gray Virginia day. No, I didn’t run in place for five minutes; I ran right out of there forever! So glad that we downsized and no longer have a house with a greenhouse. Green snakes…black snakes. Snakes in general give me the chills! I’m happy your dog and hubby came to the rescue. Here, there is a common belief (I find it superstitious) that snakes have ears. They will slither away once the woman of the house screams out their name. How about if the woman of the house just plain old screams? Your shouting “Agwo, Agwo” would alert others to beware of where they step. Maybe it was the surprise of seeing it and not the fear of being harmed by it. I am terrified of snakes. I would have had a coronary on the spot. Who got rid of it? Yuck! I do love orchids, though. I didn’t get rid of it, I got rid of orchids and greenhouses by turning greenhouse rights over to my husband, who promptly started raising Begonias. Hmm: now I wonder whether he PLANTED that snake to run me off the territory! Show me one fan of snakes and I’ll show you a person I could never communicate with. I had a friend who could’t even bear the sight of a snake on an illustrated page. Glad we don’t have many snakes in this country 🙂 and I hope your rewarded your faithful Dog with a treat! 🙂 Talking of Husbands.. when I was starting in labour with our second child, Id waited for the contractions to get closer together before waking my hubby in the middle of the night, His response was… ‘Well Go and make me a cupa love, before I take you to hospital.’…. …. Snake stories almost always leave me wondering about what happened next. Sometimes, in movies, a person will discover a snake in their home, but then the snake disappears. How does the person ever relax again, knowing the snake might still be there? Who got rid of the snake in the greenhouse, and weren’t you nervous every time you went back in there? YOU BET! After that experience I gave over my rights to the greenhouse to my husband, who took it over to grow Begonias. Orchids are but a glimmer of memory now. Sounds like a lovely place, but I’m afraid of snakes too. Ick. I think that is a feeling one can never outgrow! They just give me the creeps.